To successfully achieve a specific look - from flawlessly natural to daring and dramatic - takes talent, sensitivity and subtlety. Wedding make up artists, wedding make up supplies and wedding make up services listed below will help you achieve the appearance of your dreams for your Jewish Wedding. 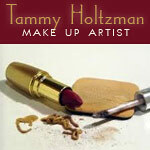 Tammy Holtzman is a professional makeup artist, trained in several schools in Israel as well as in the USA. She was also trained in Downstate Medical Center to cover up skin imperfections caused by specific diseases. Tammy will be happy to come to your location to enhance your inner beauty for your special day. Weddings and Lechaims are her specialties. Airbrush makeup is available upon request. 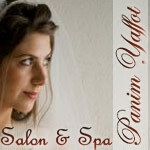 Kallahs, their mothers, sisters and the rest of the wedding party come to Panim Yaffot not only for hair and make up but for a complete pampering. 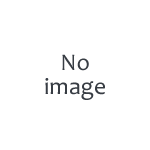 Our goal is to get to know you and your needs so that we can provide you with the best service possible. With 25 years experience you can take comfort in knowing that your satisfaction is our #1 priority. Make up on location is also available. An exemplary makeup artist, Gittel Rosenberger, will be there to beautify your face and to make you look radiant and glowing. 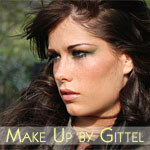 From weddings to evening outings, Gittel will make looking into the mirror a whole lot more fun. She won't let you leave her cosmetic chair unless you are completely satisfied with the outcome. 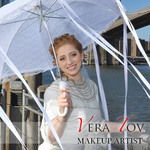 Vera, a certified makeup artist, has a unique ability to bring out the natural beauty of the client. She is able to create sophisticated, timeless looks, as well as chic and glamorous looks that capture elegance and personal style. Makeup for all occasions. Professional makeup artist by IL-MAKIAGE. Just like a movie set or a fashion shoot, M Bridal Makeup works on-location on your wedding day to create your unforgettable bridal look. Get flawless makeup and red carpet treatment. I believe that with the right makeup and makeup artist anything is possible... my style is a natural all over effect that enhances and enriches one's beauty. On your special day I will be with you wherever you are. Makeup for all occasions. Relax with a Facial massage included with each makeup application. Khoulouds Beauty at LI Wedding Lounge has Specialized in Air Brush and formal hair design for over 20 years. The In House staff of licensed cosmetologist and Air brush make-up artists will make you look stunning on your wedding day. Makeup for all occasions. Makeup & skincare products for sale. Specializing in Shabbos makeup that stays on all Shabbos. Call to see my portfolio. Certified make up artist Chasi Nitekman. After graduating Ill Makiage International Make-up School in 2002, Sarah perfected her style of 'a natural all over' effect that enhances and enriches ones beauty. On your special day I will be with you wherever you are. Pretty Profiles By Chaya - professional make-up artist, Il-Makiage certified. 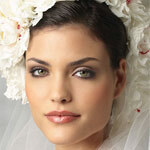 Make-up for your L'chaim and Wedding and every Simcha in between! 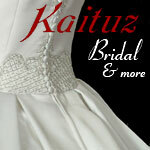 Free skin-care consultation for brides! Leah Sperber, licensed cosmetologist and makeup artist, has been in the beauty business for over 20 years. Starting out in the 80’s, Leah has worked on TV and in print. With the latest in seasonal colors and techniques, Leah brings out the natural radiance of every bride. Leah’s long lasting makeup is all natural and hypoallergenic, and it has has a smooth finish. As a licensed Aesthetician/Makeup Artist, Miriam performs facials, waxing and make-up. 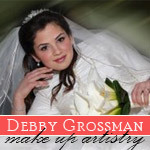 Available to do makeup for weddings and special occasions at home or hall in the NY/NJ/PA area. With her cosmetics' expertise and professional ethic, enhanced by a wide-ranging experience and calm demeanor, Batya Wiesner is able to achieve the unique look that you desire. We enhance your natural inner beauty to bring out spirituality from beneath the physical.